In the current context, we’re wondering what the future holds for a car such as the Maxima. Not that it isn’t interesting, but simply because it’s part of a vehicle segment that’s in a downward spiral. It’s far from being the brand’s flagship, sitting in a class of its own because its positioning makes it flirt with cars sold by luxury brands. The Maxima benefits from a rich heritage, so it’s not surprising that the automaker is trying to keep the sedan alive. Nevertheless, Nissan has decided to give the 2019 Nissan Maxima a mild refresh, and it made its world debut at the Los Angeles Auto Show. The changes are minor, as the current-generation car is only about three years old. We quickly notice subtle changes such as the reworked headlight clusters and grille, in addition to redesigns of the car’s rear end and cockpit. 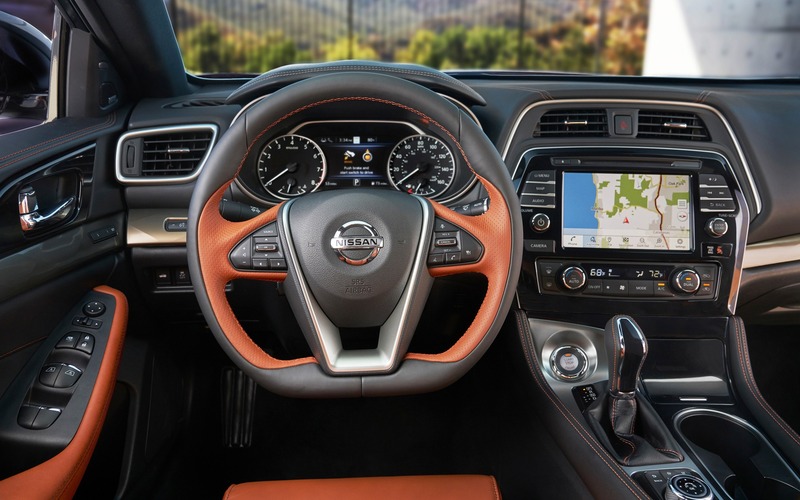 The company also announced the addition of its Nissan Safety Shield 360 suite that includes six safety features such as autonomous emergency braking and lane keep assist. No changes have been made under the hood. The 300-horsepower, 3.5-litre V6 is back, which feeds the front wheels through a continuously variable automatic transmission. Four trim levels will be available, including S, SL, sporty SR and Platinum. The only option is a set of 19-inch alloy wheels reserved for the Platinum grade. The 2019 Nissan Maxima will be on sale in December 2018, and pricing will be announced at a later date.